Homeless Hmong: refugees or migrants? 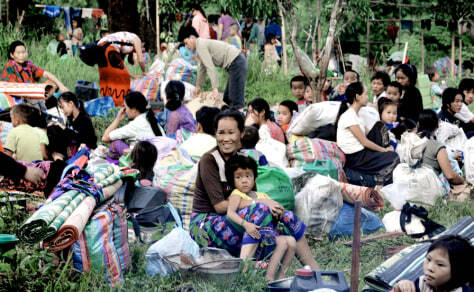 Hmong women and children sit with their belongings after being evicted from a village in Phetchabun province, northern Thailand, in July. The Hmong fear they will be persecuted by the communist government in Laos if they are repatriated because of their Vietnam War-era links to the United States.